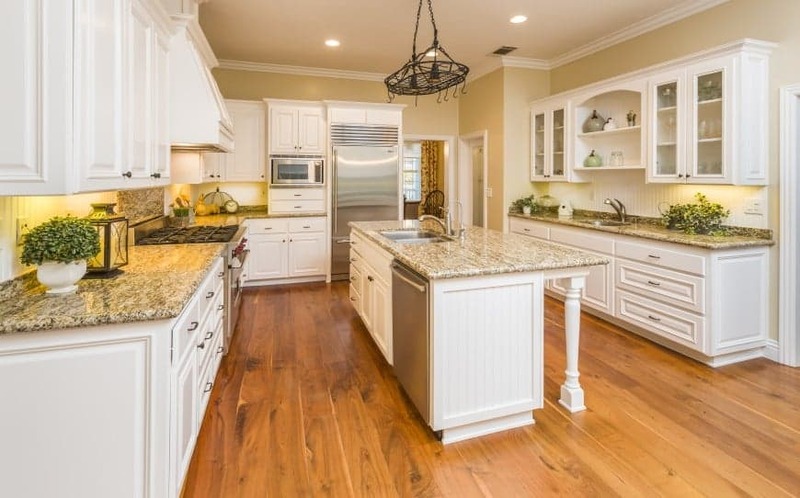 Do you ever get tired of looking at your kitchen? 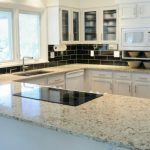 Maybe it’s the chipped countertops or dated cabinets, but somewhere along the line, you’ve stopped trying to make your kitchen look nice. Well, it’s time to turn that around. Fortunately, you don’t need to take out a loan to make some drastic improvements to your kitchen. 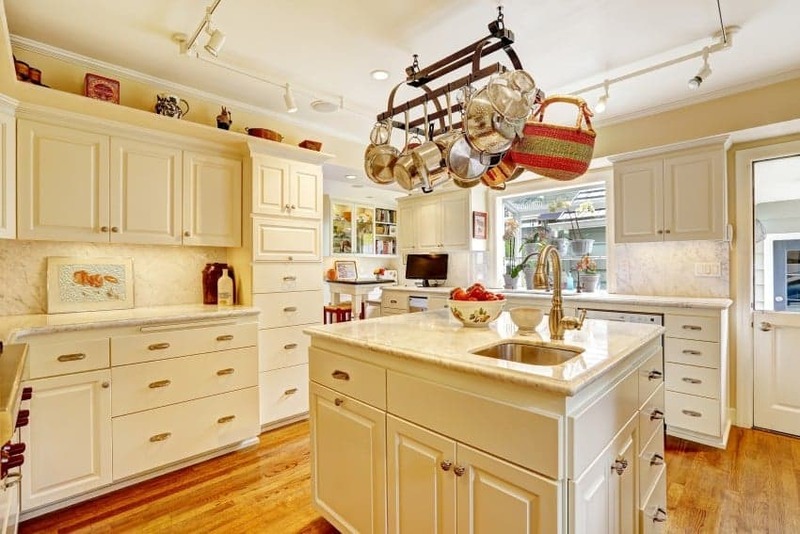 Use pot racks – Hang a pot rack over a kitchen island and you’ll save cabinet space that you can use for other things. 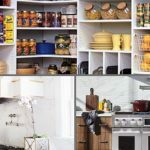 Install a magnetic spice rack – Magnetic spice racks are somewhat trendy now, but they are major space savers. Just think about all the space your spices are taking up in your cabinet. With a wall spice rack, it’ll also be easier to find spices when you’re cooking. Install floating shelves – Display pretty items like decorative containers with sugar and flour on floating shelves. Again, you’ll free space in your cabinets and be able to keep those counters clear. Because it’s such a utilitarian space, people sometimes forget about decorating the walls in the kitchen. And when it comes to kitchen décor, you don’t have to hang a metal sign that says “coffee.” There are options. Hang framed prints – Bring some creativity and personality into your kitchen with framed prints. Choose something colorful or subdued depending on your personality. This doesn’t have to be an expensive endeavor. You can buy reasonably-priced prints at craft stores or online. You may even find some gems hidden at garage sales. Add a chalkboard – Framed chalkboards can add an interesting touch to your kitchen, and they can also be extremely useful. Once you have your kitchen organized, use your chalkboard to help organize your life. When you want to give any room a fresh, airy feel, lighting is crucial. Even if you change nothing else, the right lighting can make the room feel warm and inviting. Switch out fluorescent bulbs – If you have fluorescent lighting in your kitchen, it’s time to change it. Not only will they remind you of being in a school cafeteria, but fluorescent lights can give everything a flat blue tone and make it appear washed out. Take advantage of natural lighting – Open the curtains and shed some light on your kitchen to brighten things up. If you have the budget, you may also consider new windows that you’re proud to show off. If you have a solid kitchen door that leads outside, replace it with a glass door and you’ll make a major impact. Add lighting – Add a standing lamp in a dark corner of your kitchen and brighten up the entire room. 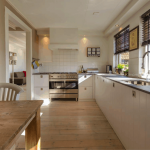 If your appliances are uncoordinated, it can create a chaotic vibe in your kitchen. It’s best if you can coordinate everything from the dishwasher and the fridge to the kettle you leave on your stove. However, this can get costly. Here are some tips for finding reasonably-priced appliances that match your kitchen. Shop garage sales – If you have the time to shop around, garage sales are a great way to find inexpensive appliances. This is an especially good option if you’re looking for black or white appliances as they have somewhat gone out of favor. 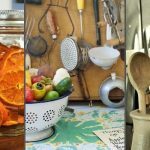 Browse online – The Facebook marketplace is filled with appliances in all types and finishes, so this may be an easy way to pick up the pieces you need to complete your kitchen. As a bonus, you can easily list the item you’re replacing and make back some cash. Sometimes you just need to look at things with fresh eyes. You’ll likely be surprised at how something as simple as changing cabinet handles and drawer pulls can completely transform your kitchen. Go with something sleek and modern or decorative and fancy. It’s such a simple and inexpensive move, but it will have a huge impact on your cabinets. The cost for this upgrade can range between $20 and $200+ depending on your choice and the size of your kitchen. Possibly the best part of this renovation is that it doesn’t require any special skills. Since you already have drawer pulls and cabinet handles, you won’t need to drill holes. You may need to be handy with a screwdriver, but that’s the extent of your handiwork for this project. If you want to make major changes, but you’re worried about your budget, choose one big thing to do yourself. You will have to be somewhat handy with tools, and you may need to give yourself extra time to complete the project right. Here are some examples of DIY projects that can make a big difference in your kitchen. Refresh countertops – You can pick up a kit at a home improvement store to paint, refinish or repair your countertops. 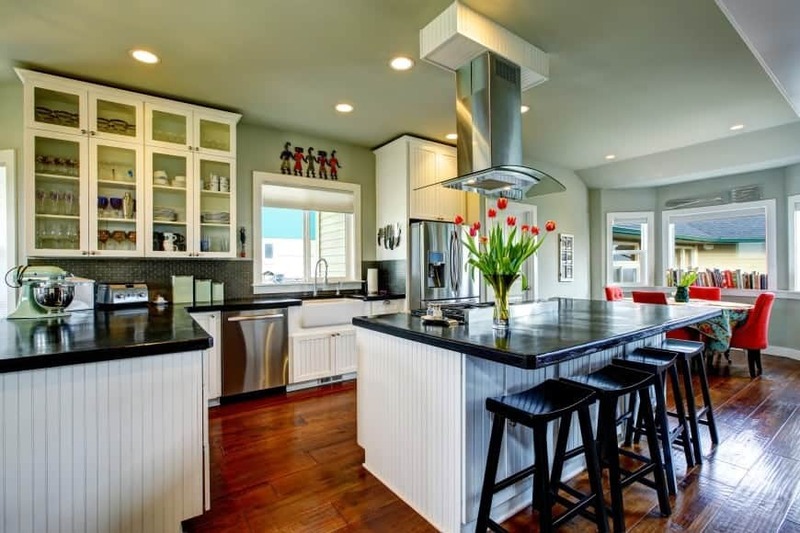 Refinish cabinets – If you’re lucky enough to have wooden cabinets, you may be able to sand them down and refinish them. Add a decorative backsplash – Choose tile, metal or salvaged wood. 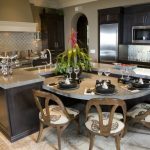 A new backsplash can add color and unique style to your kitchen. Replace faucet and/or sink – If your sink is scratched beyond repair, it may be time for a replacement. Similarly, if your faucet is more than ten years old, your sink’s appearance will benefit from an upgrade. 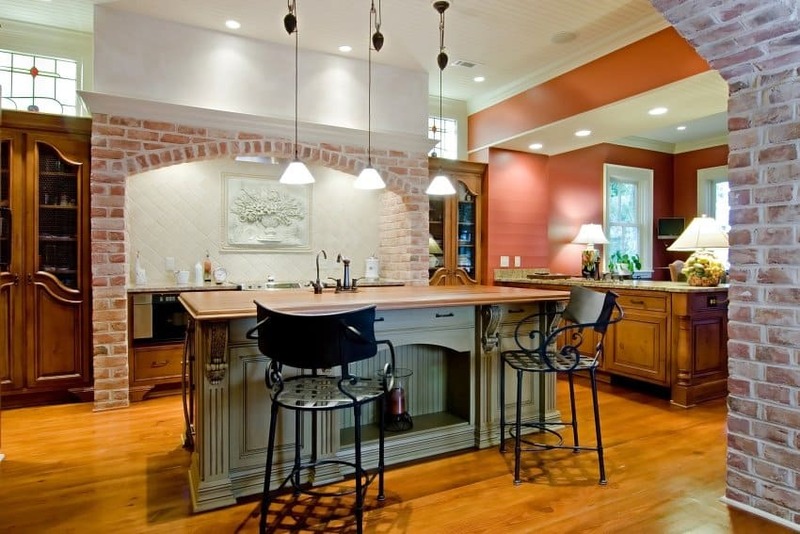 If you want to upgrade your kitchen, you don’t necessarily need to hire a contractor. There are so many small things you can do that will add up to big change. Tackle a few DIY projects, increase natural light and decrease clutter. Your kitchen will feel like an entirely new room.